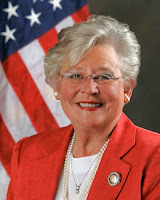 On May 4, 2017, Governor Kay Ivey approved "Alabama's Assisted Suicide Ban Act." The Act's legislative findings include that in almost every state, it is a crime to assist a suicide. Per the Act, any person who deliberately assists another person to commit suicide is guilty of a Class C felony. Violators are also subject to liability for damages, actions for wrongful death and suspension or revocation of professional healthcare licenses. The Act provides that it "shall become effective on the first day of the third month following its passage and approval by the Governor." To view a copy of the Act as enrolled, click here. Hawaii: Thank You Representative Oshiro!